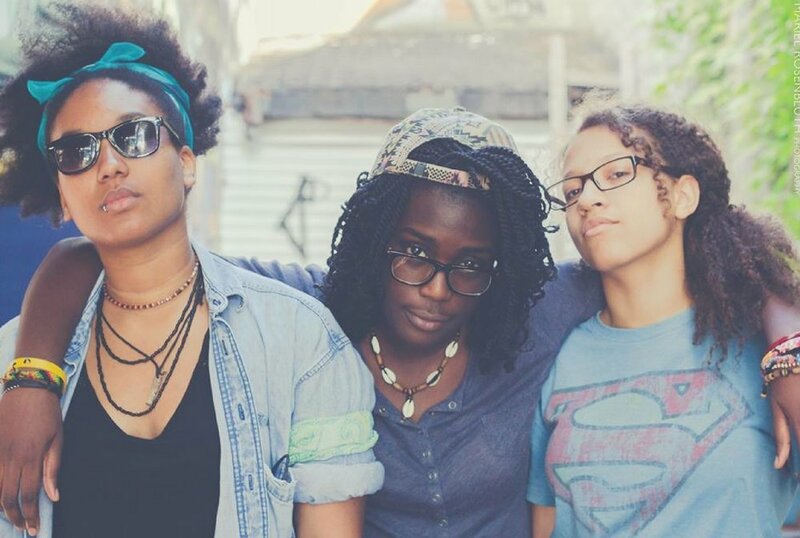 Strange Froots is a trio of singers-songwriters, musicians and beatmakers, comprised of Mags (right), SageS (left) and Naïka Champaïgne (middle). These 3 young women were brought together under NoBad Sound Studio to participate in a potential women-run workshop, in the hopes of encouraging more girls and young women to express themselves musically in an environment dominated by the masculine gender. What was supposed to be a series of music workshops, turned into the forming of a band, each member being an artist in their own rights. Strange Froots is the coming together of different backgrounds of the same Black diaspora (Haiti, Jamaica, Senegal and Ghana) as well as drastically different musical influences, to convey the message that everyone should embrace who they are no matter where they're from or what they're going through, because in this life we are all fighting our individual battles, and even forget that others are fighting as well, but that it shouldn't keep us from living our best life while we can.